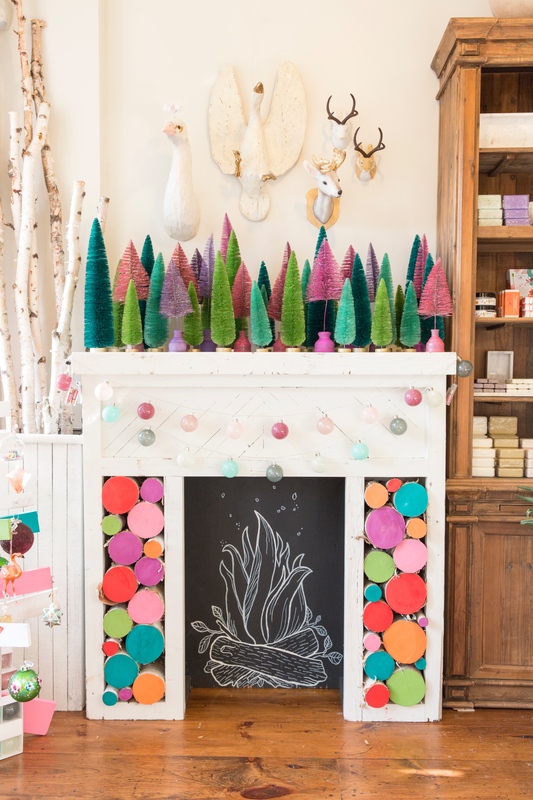 No matter your taste, there is a Christmas decor trend to accommodate it. To create some interest in your home, try playing with different textures this holiday season. This happens pretty naturally, to an extent, with the needles of your Christmas tree and the softer fabrics around it – stockings & tree skirt – and then the hard contrast of the ornaments. 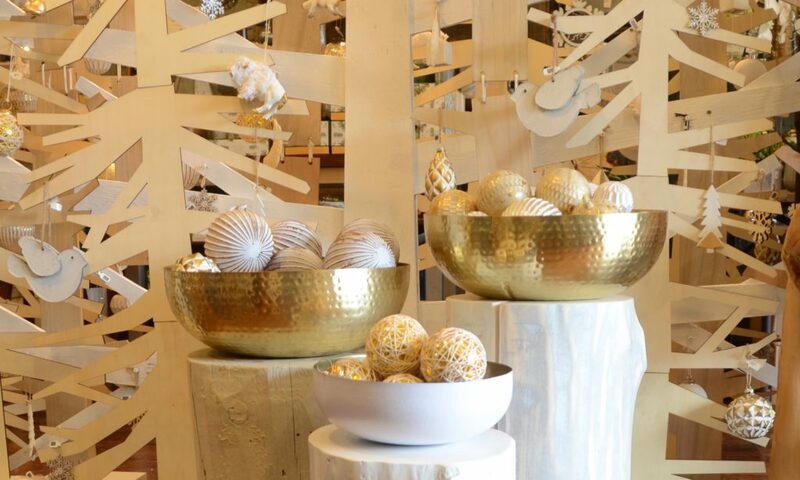 But you can take it a little further by playing up the textures in new and interesting ways in your additional holiday decor. Try using interesting woods, twigs and birch branches around your home. Pair your earthy finds with some metallics and geometrics and your friends will all be commenting on your decor. In store at Centro Garden, we’ve taken a wood mantle with round wood slices and painted them the on-trend colours for the season. We’ve played with the brighter, more playful colours of 2017 while also working in numerous textures. You can see how interesting this corner is with the colours, the wire bristle of the miniature trees and the wall mount animals. 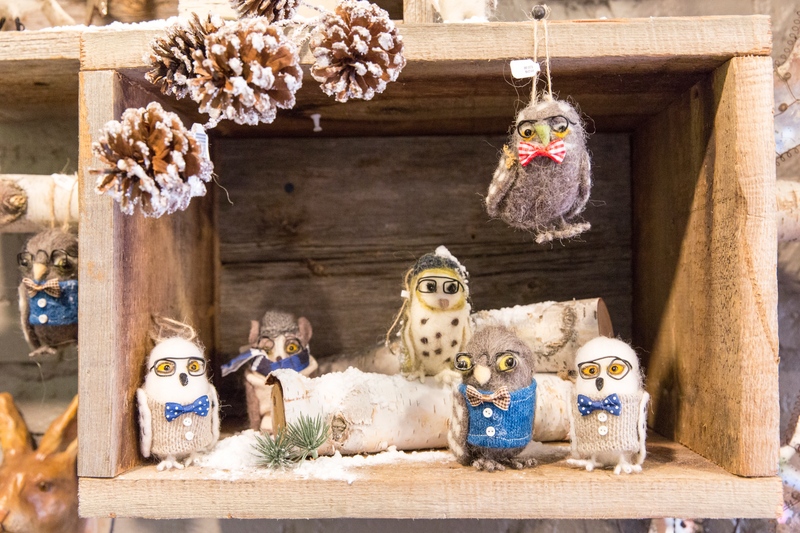 Pine cones will always be a great way to add texture to your Christmas decor and this year we’re featuring some felted owls as a way to bring some softness onto your tree. As a side note, these studious owls are a beautiful gift for any teacher in your life. Finally we are loving all of the black and white you can find in our store this year. 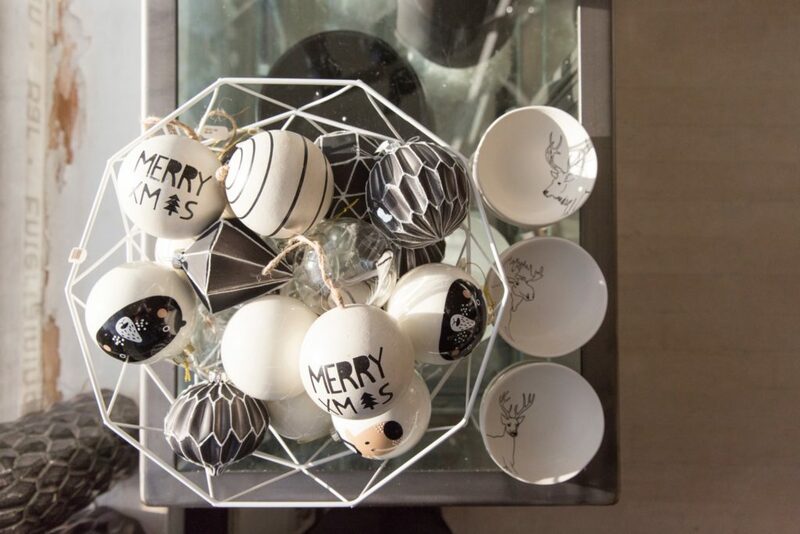 The geometric ornaments look especially amazing in this classic monochrome scheme.